An X helmet! Heck a Zero and Axl helmet would not be bad either! More Forte/Bass related, not to mention Protoman. Can't leave him out! - Forte/Bass, protoman, X, and Zero fleece hat. - Forte figurine, or plush. - Stuff with other robot masters like Crashman, Airman, etc. - I would also like to see some more wallet themes in regards to the franchises. I don't know what else to list, but that sums some of it. Mega Man/Mega Man X/Zero/Proto Man HOODIE! Yeah, an Eddie themed trash can would be beyond cool. Also, maybe some form of Z-Sabre (the X version, of course) and Proto Shield? Oh man. I was excited until I read I was limited to classic or X. We need Eddie-themed merchandise, and personally, I think an 'Eddie Soda Can Holder' makes more sense than a trash can. Just a plastic Eddie with a flip-top and around six soda can holders inside. Maybe with a compartment underneath to allow for ice or something. Just an idea. I know I'd love one! I'd fill him with Sprite and pretend they're the energy cans from the first episode of the Ruby Spears cartoon series. Oh man, an Eddie-themed trash can would be GENIUS. What about plush toys? I know we can't ask for figurines, but what about plushes? How about t-shirts that resemble X/Zero/etc's armor? Any kind of Eddie can, whether it be trash or cup holder, would be most welcome. A Protoman Shield Backpack. You know this wins. Also, I would like actual posters that are frame able of perhaps some of the less seen official art. Oh oh! And a Robot Master blanket. One that looks like the boss select screen with tons of the Robot Masters on it...might be too expensive to make this one. Lack of ability to choose something for DASH, ZX, EXE or SSR makes me lose interest in this entirely. We've got enough X and Classic merchandise in the world. How about a good Metool helmet hat? I also like some of the other ideas mentioned, like the Eddie trash can and replica Z-Saber. X/Zero themed T-shirts. Like the T-shirt Tux, but with X armor. the proto shield backback and the hoodies. Megaman/X are a bit outdated. The easiest way to integrate anything with age is to tastefully integrate it with clothing. Now, there is already a mass of Megaman-themed clothing out there, but the one thing I don't see that a range of companies are making is Silly Bands. There are even Powerpuff Girls and Monopoly-branded Silly Bands. I don't think it's too much of a stretch to say that Megaman 9 and 10-branded Silly Bands based on character sprites and object shapes would at least give the brand coverage, and would likely sell enough-to-well. Additionally, Silly Bands based on all the Robot Masters would be an accurate and cost-effective way to bring out the collector in some older groups by giving them something that's modern and relevant as well as accurate and charming. I'm going to give myself one quick plug here and suggest the idea of making an E-Koozie. I homemade my own can koozie designed to look like an E-Can (as well as other types of cans, W, S, ?, etc.). If an E-Tank Wristband or Keychain can get approved, I think a Koozie would do at least as well. The Z-Saber will sell as an alternative to the Star Wars lightsabers and its own appearance with the popular fighter from Marvel Vs. Capcom 3. Proto Man's Scarf and Roll's Ribbon are also clothing accessory shoo-ins. I also endorse the Proto Man Shades (not toy shades, real designs), Proto Man and Sniper Joe backpacks, and Eddie (Trash) Can ideas. Don't forget to use Rush the dog, Tango the cat, and Beat the bird as animals are always a fairly universal seller. This is your market if we're talking MM/MMX. You've got fans of the series that hold these VERY dear, and wouldn't mind some expensive but quality trinkets to showcase their love of the series. This has been evidenced by the success of the Megaman X controller line as well as the latest high-quality Japanese action figure lines. Display pieces like accurate, weighty replicas of Helmets are great. Items such as Megaman's Life Restore Capsule (cameoed in Tatsunoko Vs. Capcom for Nintendo Wii) or the Megaman X Sub Tank or Heart Tank are also viable. That's my vision. I'm just a beginner MBA. But I'm an avid Megaman and Megaman X fan. My ideas are always niche, but they're just ideas, try 'em out! Robot Master themed shirts or room stuff! Gutsman! Quickman! Needleman! Skullman! Shademan! Bed sheets, blinds, pillow covers, bathroom stuff! An E-Tank or Subtank themed hip flask. Protoman Scarf. Also a whistle that can play his tune with a button push. Roll Cosplay Broom and/or bow. Light fake beard and Wily Wig/ eyebrows set. Robot Master plushes. Either a medium size-type thing, or as one of those things you can get from claw games. E/W/? tank and energy capsule throw pillows. An X versus Zero Blanket with made up scenes from the battle. A huge Rangda Bangda wallscroll/poster would be so awesome! Vinyl figures would be cool. Megaman/X book-ends for a bookshelf. To hold up books straight. Mettaur piggy-bank.. Except it's not a piggy, obviously. I did think about making an X Vs. Zero bookend with the Bandai D-Arts figures when Zero Ver. 2 came out, but they're not that stable, and I don't want to bronze them or something. I'd prefer a display or diorama. If I had money to throw away, though, I might buy two sets and do that. Plushes of most characters, including Mega Man, Proto Man, Bass, Duo, Roll, the 3 doctors, X, Zero, Axl, Alia, Sigma, Vile, Dynamo, (...), Rush, Eddie, Beat, Tango, Auto, Treble, Reggae, Met and Sniper Joe. *Magic Man themed magic kit? *Venus, Burst Man, Ring Man, and Bubble Man themed bubble ring(s)? An X wallscroll. Been wanting one forever. Official plushies of X, Zero, Axl, Blues, Forte, Rock, Roll, Rush. Thanks. BOTH X4 & XTREME 2 VERSIONS! A strong flashlight shaped as a giant buster that a hand can fit into. Roll plushies, both classic and MM8 style. And any wall scrolls or posters. I wonder if they could do wrist bands that look like the Hand Guards. Ooh, I love Nathan's Eddie soda can holder idea! Maybe also make E-Tank cups that can easily fit inside, too! Also, I wouldn't mind plushies of Mega Man, Roll, Proto Man, Bass, Mega Man X, Zero, Iris, and Alia. Also, how about Poker cards with images of characters from both the MM and MMX series on them? @Tabby I know, I would love to own a plush doll of one of my favorite Cyber Elves (or an Omega-Xis plush). Heat Man lighter. Why has this not been done yet? Amir said: Lack of ability to choose something for DASH, ZX, EXE or SSR makes me lose interest in this entirely. THIS. I'd love some ZX stuff. I couldn't care less about classic, you can just take a few steps outside and find some. X not so much, but if it's not classic it's X. Hell, I haven't even seen any EXE merchandise since the show went off the air. If we do that it will be through Zippo. I'd love to see wall scrolls of the Japanese box art for the classic and X series. If you want particular pieces then I'm looking at Rockman's 1-6 and Rockman X-X3. Those would make excellent wall scrolls. I want a Forte and Treble plushie now!!!! I'd love to see iron-on or sew-on patches for bags and shirts. 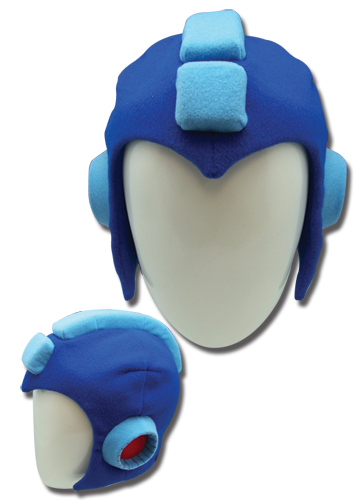 So that Megaman merch could actually be affordable. There's some great official art out there for the show (not that terrible picture of Mega Man and Rush on the DVD release) and I'd be tickled pink to have a shirt or something from that. I meant Treble and rush plushies. Treble and Rush plushies? Hey, now, the animal sidekicks would make pretty cute plushies! Maybe not just Treble and Rush, but also Beat, Tango, Eddie (I know he's not an animal), and Reggae? Life-sized Metool plush/pillow. ~18 inch, rounded, cute, huggable. Plushies X, Zero, and Axl. Or, barring that, a T-shirt with their X8 designs. Running the VGMM, I see a lot of merch. A chance to have something made from a brainstorming session is very exciting. The Proto Man backpack is a great idea, as is a large Met plush. Maybe not THAT large, but a little Met plush would melt some hearts. I'm not sure an Eddie trash Can would make it under $30. An X-Buster and Z-Saber are also excellent ideas. Plush X and Zero helmets wouldn't be beyond imagination either. A plush Rush, Beat, Met, Eddie, TANGO, and Treble would be nice. Metal pins of the most staple characters and popular Robot Masters would be great. Box art, too. Stress squeezies of a 1-up, E-tank, Sub-Tank, Met, or other characters would be fun. Even a Dr. Wily Castle/Fortress would be great and unique. What about items of some of the obtained weapons? They could be pins, metal keychains, plushes, inflatables, or anything. Rolling Cutter, Quick Boomerangs, Crash Bombs, Metal Blades, Shadow Blades, Hard Knuckles, etc. Something unique that nobody has done. You could even place the robot master with the item somehow for more branding. Folders/binders/etc. could have the 10 games' box arts. The wall scrolls were a nice idea too. Posters, even. Sound plushes would be great, like the Mario ones coming out. An E-tank could give the life charging sound, a 1-up could give that sound effect, a met could have Mega Man getting hit sound effect and shooting/deflecting. Some sound drops (push-button keychains), would also be really great for both series. In the patches line, I'd like to see a "Dr. W" logo patch. Mega Man logos would be cool too. E-tank or W-tank salt and pepper shakers. Hats/Baseball caps would be nice of all kinds of stuff. Stickers of all 70 robot masters and other staple characters may be the only way to merchandise them all cheaply. Popular 8-bit ink stamps would be sweet. Belt buckles have been pretty popular, and they have plenty to pull from there. I wonder if they could do puzzles. Box art (Japanese or USA) would be great for puzzles. Character magnets would be great too. The playing cards should have robot masters on each card. Each suit would have different Robot Masters. The 2 card would be MM2, 3 would be MM3, etc. Jack - Met, Auto, Eddie, E-Tank, Queen - Roll, Beat, Tango, Rush, King - Dr. Light, Dr. Wily, Bass, Proto Man, Ace - Mega Man in various poses x4. Shot glasses. Pens. Notepads. Pocket watches. School supplies. Makes those and you can have all of my money. I am already saving for the Megaman Helmet/Buster. You guys are amazing! Plushes of the main protagonists, support 'bots, and some others are what I'd like to see. ESPECIALLY Forte. Forte Forte Forte Forte Forte Forte Forte. Anything that can be used for cosplays. Specifically I'm in the market for and have been in the market for a decent Iris beret and a kickass Z Saber. Said saber, in my delusional imagination, has neon green LEDs, can collapse into its hilt and is spring loaded. It clips to a belt. An X buster would be awesome too- it should light up and make noise. There should be a way to make it do a charge shot noise and light up super bright if you press a button inside it long enough. Also, anything clothes related or that doubles as a functional item is perfect. I want a subtank beverage container. I really want a subtank beverage container. I would use it all the time. Also, Im a total sucker for anything with the Z logo on it. I'd love a Zero themed T shirt with the Z on the left shoulder. I just bought a wristband with that logo on it- I spazzed the eff out when I saw there was finally something I could wear with the Z logo on it. Stuff with the other logos would be pretty sweet too- the Maverick hunter logo, Sigma's insignia, Repliforce... Win. I almost wish I worked for you people so I could help make these things exist. These could also be turned into actual cases if wanted, but I figured that skins would be more efficient to produce. Somewhere on DA a fan made a MML3 skin that you can download the images for and take them to a site that allows you to upload the images and lay them out on a console/handheld reference image. Then they'll make it for you and the skin made looks extremely sweet. All I want is a patch with Zero's Z logo on it. I've looked everywhere it seems. No luck. I'd like to see backpacks with Megaman X characters! I want to see a an exact replica of the Z-Saber from the Megaman X series, if you know what I'm talking about because I've been searching all over the internet for a handcrafted Z-Saber replica from Megaman X. A megaman x, zero, and axl helmet replica ! And a sweater of all 3 with goodies and sweat pants ! And slushies of All 3 irregular hunters ! WE NEED MORE MEGAMAN X !